To understand how to get the best odds for higher potential returns from Kuwait, it helps to understand how betting sites make money, as many people misunderstand this. Some think that online sportsbooks earn revenue when you lose your bet, and they lose money when you win your bet. This is not how it works. 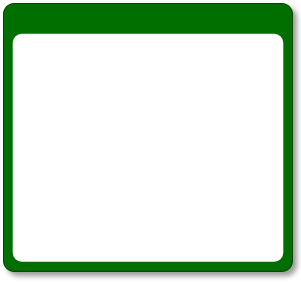 To understand, think of the entire picture for the betting site. They accept bets on all potential outcomes of a given sporting event. Their aim is to make a little bit of money on every event, no matter the outcome of that event. How do they do this? Each betting site sets their own odds in an effort to balance out the overall potential payouts for all outcomes for which they have accepted wagers. When lots of bets come in on one outcome of an event, they will subsequently lower the odds on that potential outcome, and raise the odds for the other outcomes to encourage bets on the other sides of the result in the hopes of balancing the eventual payouts. When the event is complete, the betting site hopes to pay all the winners from the stakes of the lost wagers, and be left with a little bit of money that can be counted revenue. What does this mean for you? This concept above is constantly changing for each and every sports betting company. Odds are constantly changing and can range significantly from site to site. When you play with a single company, you are essentially saying that you don’t care about the best value on the market. If you wanted to bet on Manchester United to beat Watford, you would have to accept their Premier League odds as-is. On such a single match bet, odds can range between 3% and 10%. Over the course of time, giving this premium away to your lone bookie is to your detriment. After all, no one has a perfect record in betting so every edge counts and this is why comparing odds make so much sense. This is further underscored if you like to bet combinations or accumulators. A five-match accumulator of any choosing can have payouts that range from 25 to 50% among top betting sites. Can you imagine? You make your selections and a company is willing to pay you 25% to 50% more for the exact same selections? It is reality, and it happens frequently. This is why odds comparison can be an important tool in maintaining profitability over time. After all, people nowadays compare costs for airline tickets and hotel rooms to get the best value available on the market. In these cases, people might save around 10% for a hotel stay, or a similar amount on a flight. But how often do most people need a hotel or flight? Likely not as often as you will place a bet, and if you like the kinds of wagers mentioned above, comparing odds can make a much bigger impact for you. Fortunately there are great, free online betting tools that allow you to instantly compare the odds for your bets of interest so you can get the highest potential returns. 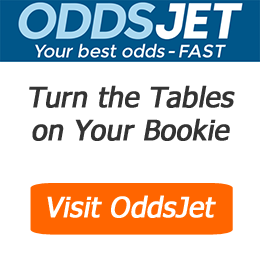 Simply visit free online betting tools like OddsJet.com. The above YouTube clip shows you just how simple it is to use OddsJet find your best odds. In business, earnings come through profit margins. 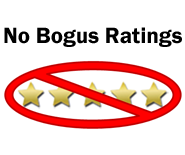 It is the same for sports betting sites. Odds margins are usually set anywhere between 3% and 10% depending on the sport, the betting site and the betting market (1X2 match betting, Totals, Handicap etc). Here is how odds margins work for a simple calculation for a typical football match with 1X2 match betting. [(1 / 1.80) * 100 + (1 / 3.50) * 100 + (1 / 4.10) * 100] -1 = 8.51% in margin. When you play with just one online sportsbook, you have to play with the odds that they provide and these odds are based on their own ‘book’. The ‘book’ is the collection of all the bets that have been placed by their customers, plus the kind of profit they want to derive. In the end, your opinion on the game is at the mercy of their odds and their margins. With this kind of profit margin above, you would need to win around 60% of your bets over time to maintain profitability. [(1 / 1.85) * 100 + (1 / 3.70) * 100 + (1 / 4.50) * 100] = 3.3% odds margin. By comparing odds in the example above, your available odds margins came down over five full percentage points from over 8.5% to 3.3% for a single event bet. When this kind of improvement is applied to your overall betting patterns, you can thus stay profitable by winning a little more than 50% of your bets as opposed to nearly 60%. Thus, finding your ideal odds with OddsJet gives you more room for error toward profitability. Thus even when it comes to single event bets, OddsJet can really help you find where you should be playing. An outright winner is the winner of a given league or tournament. Outright winner betting markets can have the highest variation in odds pricing between betting sites. This is especially the case when you are considering a potential outright winner that is not the heaviest favourite. Potential payouts can differ by as much as 50% depending on the teams or players involved. Given such significant differences in potential payouts and the length of time you may need to wait for your bet to potentially payout, it makes a lot of sense to compare outright winner odds before you make your wager. Imagine you wanted to bet on AS Monaco to win Ligue 1 outright at the start of the 2016/17 season. Monaco was the outright winner in the end. PSG would have been the heaviest favourite. If your existing bookie had Monaco at 9 to 1, but another bookie had Monaco at 13 to 1, would you take the time to register another account? That’s at 44% premium. On a bet of 50¤, the payout would have been 650¤ versus $450¤. That’s 200¤ extra on a potential payout for nothing more than having another betting account. Imagine if you are betting with higher stakes or if your potential premiums are even higher. It’s just worth it. This is why comparing odds on outrights is very useful. Creating and funding accounts could not be easier than it currently is. Don’t leave your potential payouts on the table. Have a look how easy it is to compare Champions League outright winner odds.